Concept: There's nothing better than having fun while staying fit with your family! 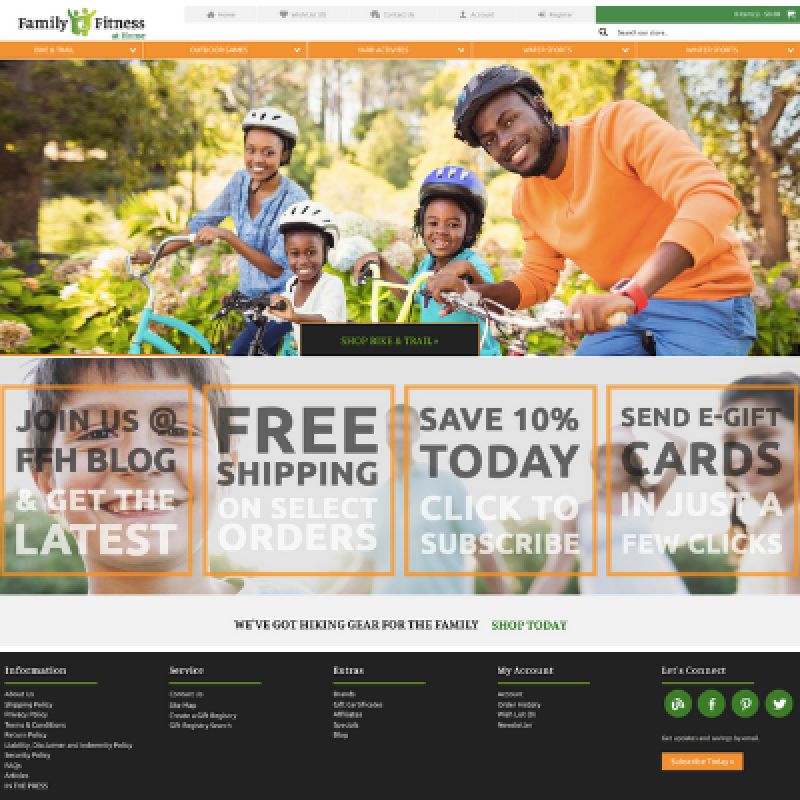 That's why Pure-Ecommerce is excited to introduce this drop ship fitness website perfectly named FamilyFitnessAtHome.com. Families can shop the easy to navigate categories to keep them fit together including essentials for the Bike & Trail, Outdoor Games, Yard Activities, Water Sports, and Winter Sports. We will help you get started by loading the first 300 drop ship products and establishing the initial drop ship vendor relationships for you. 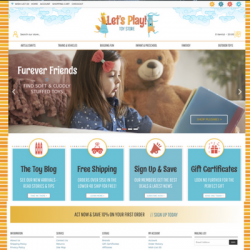 This fun to run website designed by Pure-Ecommerce is 100% responsive website design, which means this website will look great no matter if customers are shopping from their PC, tablet or smartphone. Stay connected to your customers by announcing the latest news, products, and fitness tips on the connected social media pages, blog, and newsletter. When you choose to work with Pure-Ecommerce you will not only receive a high-quality website but we also include our 10 step instructional program, 40 hours of ecommerce consulting and access to our eLearning Library. Our ready-made internet businesses are designed to give you the "tools" you need to help you get started in the world of ecommerce. Want even more? Be sure to check out our Platinum Package Upgrade as we have lots of extras to offer you. Register or Log In Now to see our website pricing and find out how we can help you get started in the online marketplace to help families stay fit at home! Health and Fitness is a $14.8 billion industry, serving nearly 40 million members throughout the United States. The growth in this market is continued to be driven by rising awareness about fitness and healthy living, increasing numbers of health clubs, and the advent of innovative products combining electronics and fitness. ForeverFunAndFit.com designed by Pure-Ecommerce Responsive Design Website Part of Our Premium..
TheScentedSpace.com designed by Pure-EcommerceResponsive Design Website Part of Our Premium Site C..
DivineTeaShop.com designed by Pure-EcommerceResponsive Design Website Part of Our Premium Site Col..